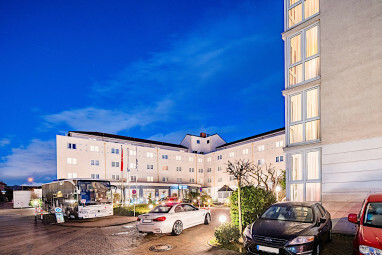 Homepage > Hotels in Raunheim > BEST WESTERN Amedia Frank. 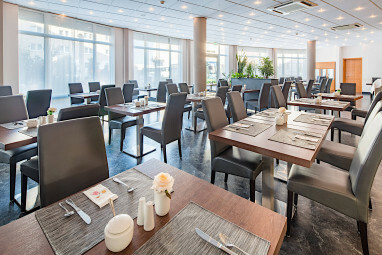 The BEST WESTERN Amedia Frankfurt-Airport offers 4 star comfort with 417 rooms of which 272 are fully equipped serviced apartments with kitchenettes (partly with terrace and balcony). All units are airconditioned and offer bathroom with tub and toilette, telephone, SAT-TV and free WiFi. 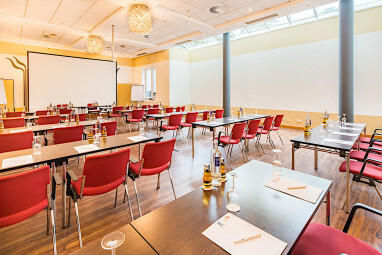 The Hotel is located in the middle of the greater Rhine-Main region, close to the cities of Mainz, Wiesbaden and Frankfurt, as well as Frankfurt Airport. 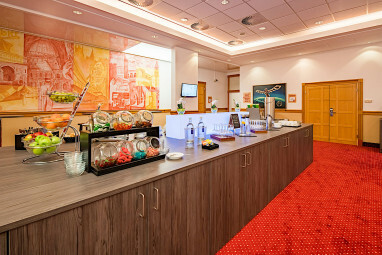 Own parking place as well as free shuttel service to Frankfurt Airport is provided. 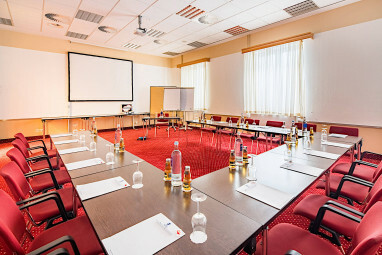 For conferences and meetings we have 12 meeting rooms which can accommodate up to 130 persons with state-of-the-art equipment like dimming, Video recorder and Video projector. 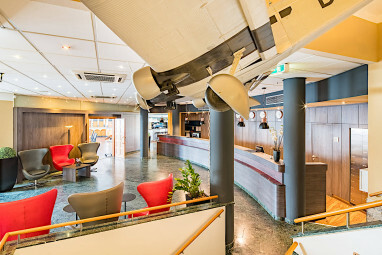 The 4-star Hotel offers 417 comfortable guest rooms and serviced apartements with bath/shower, air conditioning, minibar, modem point, Wi Fi, Internet access, non-smoking rooms and disability friendly. In total we offer 272 fully equipped apartments with kitchenettes. 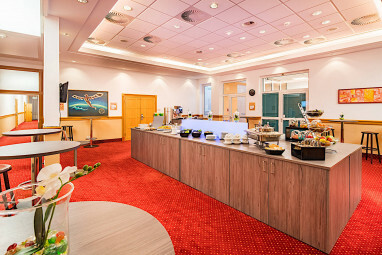 The BEST WESTERN Amedia Frankfurt-Airport offer 272 airconditioned apartments for single or double occupation. 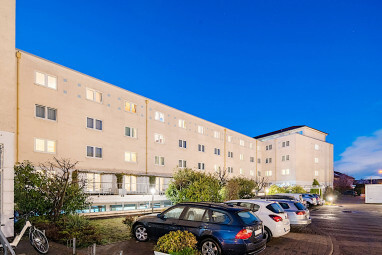 combinded living and bed room sized 42sqm. Furnished with twin or double bed, fully equipped kitchenette, big writing tabel and a roof terrace. 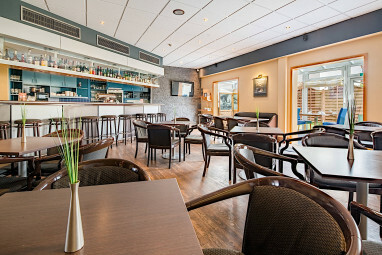 Enjoy tasty specialties at our restaurant Charles Lindbergh or have a fresh beer or good glas of wine at our bistro. During summer month we offer lunch and dinner at the terrace. 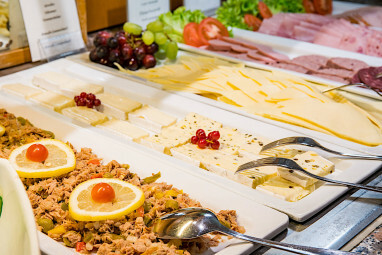 Being partner of ´´Hessen à la carte´´ we offer fresh and varied food from the region. A small gym and sauna are in the basemant and free of charge for hotel and apartment guests. Towels are available at the reception. If you prefer more natural surroundings or would like some fresh air, the river Main directly behind the hotel is the perfect spot for taking a walk, jogging or riding a bike. 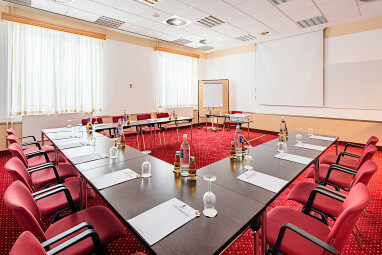 12 conference rooms for 130 person. 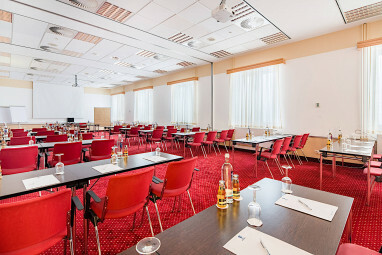 In total 680 sqm conference space.